Why is my Download Speed so low right now ? HomeJetSpot TalksWhy is my Download Speed so low right now ? Server Capacity: File downloading speed also depends on the host’s network speed. The server you are downloading from (e.g. say from torrent) should be able to serve the file at a greater speed than your own connection speed. Otherwise, your download speed will be limited to the maximum speed at which the server can serve. Server Load: Capacity is not the only factor affecting the server’s serving speed. Sometimes, a server which is serving too many parallel requests might throttle connections and regulate the bandwidth utilized by each connection. In that case, the server limits the maximum bandwidth available for you to download a particular file. More the load on the server, more would be the number of parallel requests it is processing, hence less will be the maximum bandwidth available for you to download. Network Interface Controller (NIC): Network adapters vary in specifications from manufacturer to manufacturer. 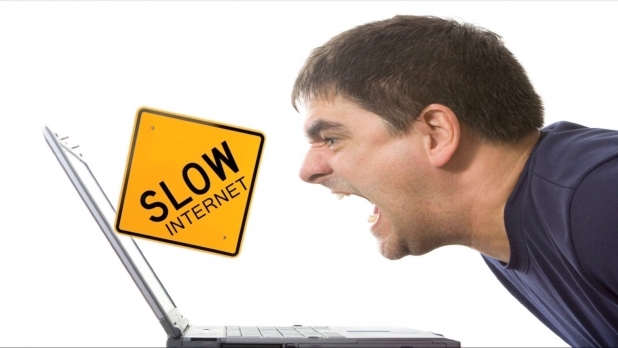 If the network adapter in your device cannot fully utilize the connection speed, you won’t be able to achieve the maximum download speed provided by your ISP. Operating System (OS): Your device’s operating system runs a few background services that are used to establish and maintain the connection related activities. These OS level services consume some bandwidth to run their operations. However, the amount of bandwidth consumed by these services varies from OS to OS. Routing: The maximum available download bandwidth will be fairly dependent on the distance between the server’s location and the client’s location. If you are downloading from a server near you, more bandwidth will be available for downloading. But if the server is far from your location, available bandwidth would be reduced as some of it is consumed by the routing process. Thus, clearing up the common misconception, we can conclude that connection speed and download speed is fairly the same thing, only measured in different units; although it’s certainly confusing to consumers.